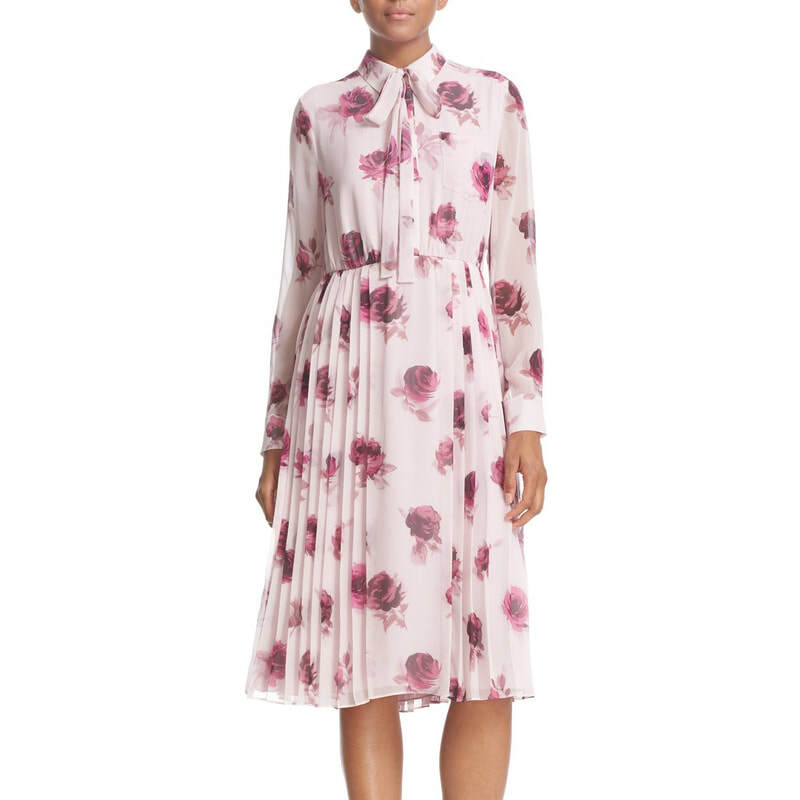 This pretty floral number by Kate Spade New York was the first piece the Duchess of Cambridge wore from the American designer. She debuted the 'Encore Rose' dress for events celebrating World Mental Health Day in October 2016. 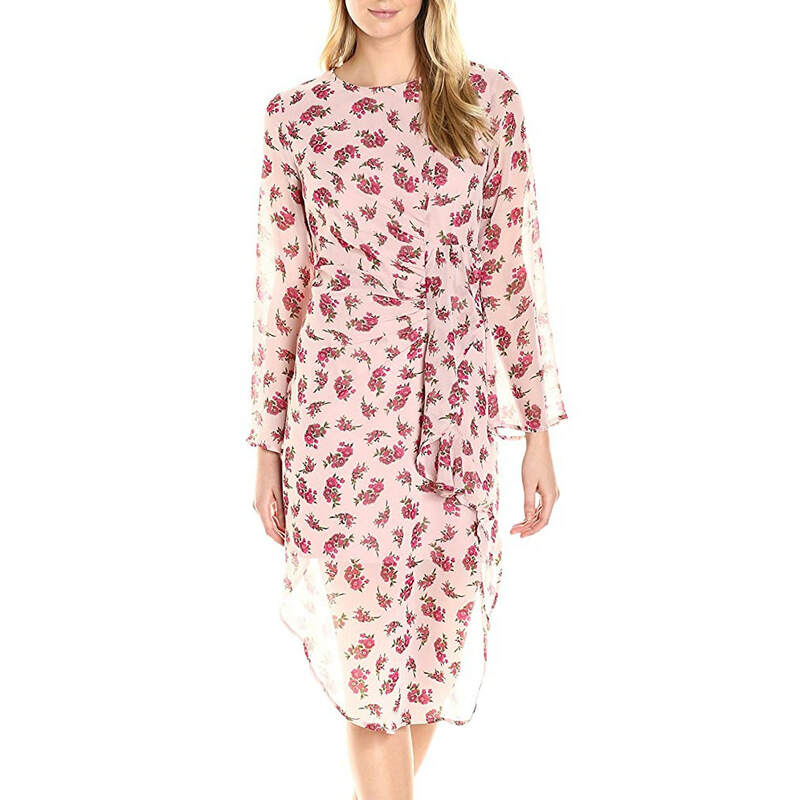 The Kate Spade New York 'Encore Rose' chiffon dress is a delicate pink silk dress with a tonal rose print. The shirtdress features a buttoned-up front primly styled with a slender tie at the collar. An inset waist nips the silhouette and the A-line skirt is finished with precise pleats. 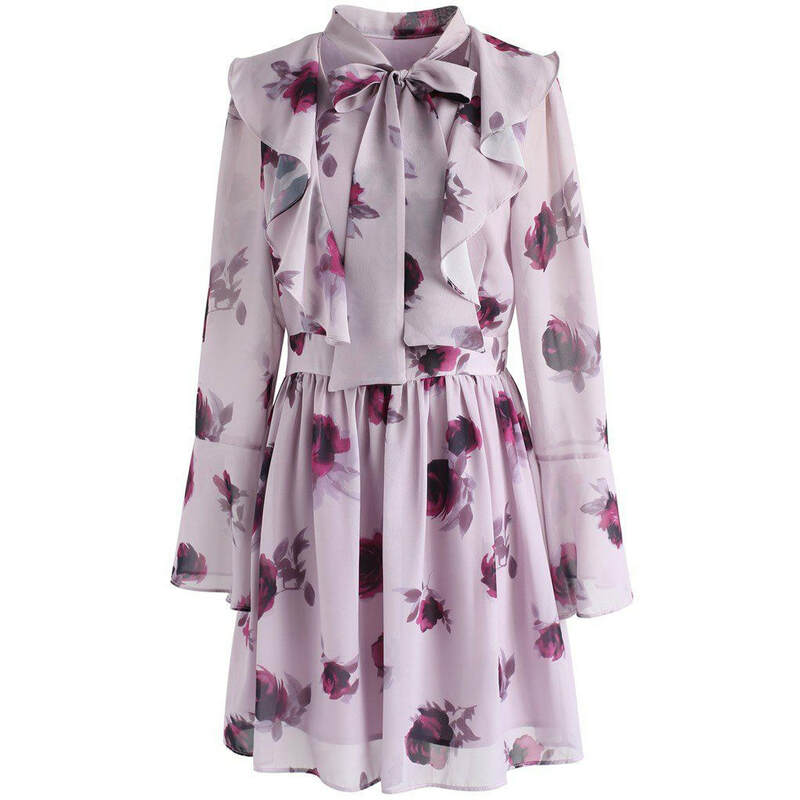 STYLE FILE: Kate Spade New York 'Encore Rose' Chiffon Dress as seen on Kate Middleton, The Duchess of Cambridge.